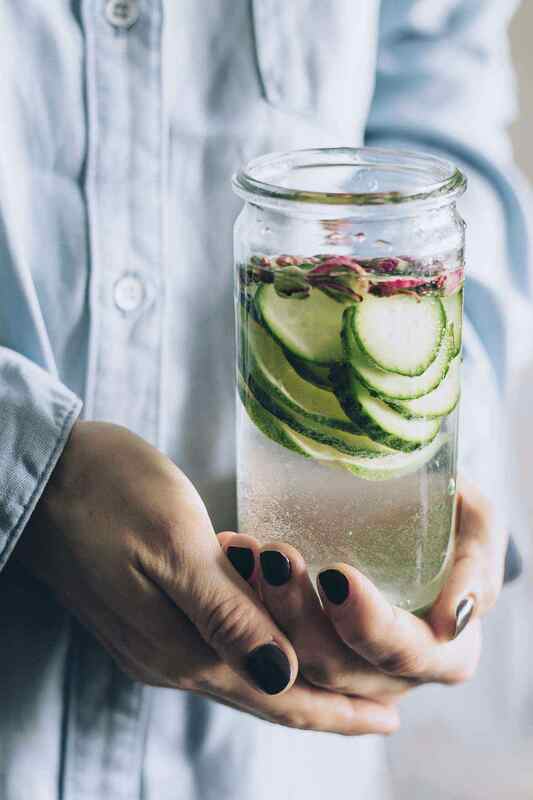 You know how important it is to drink enough water every day to keep your body healthy and happy. 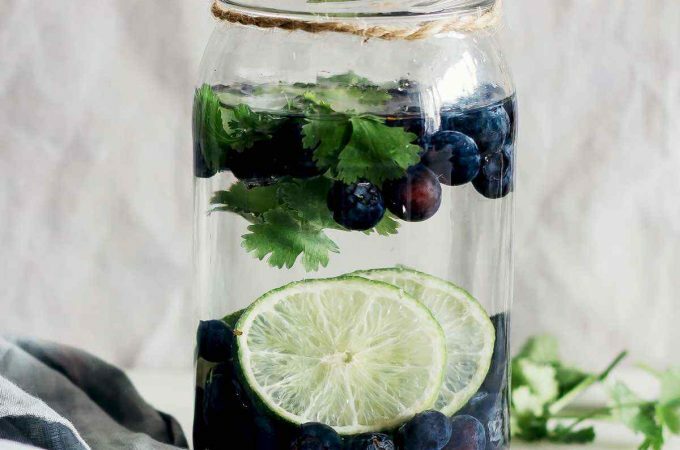 Each of your cells needs water to function at its best. And when you’re fully hydrated, you feel less tired, your mood improves, and you get fewer headaches. 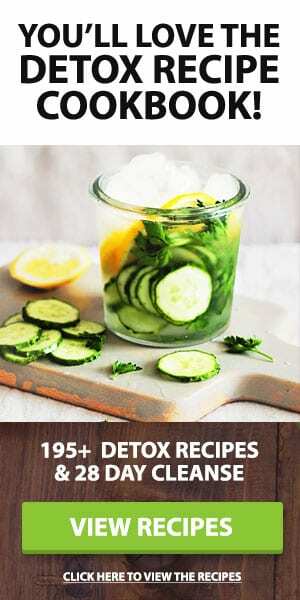 Not only that, but water helps your digestive system do its job while boosting weight loss and making your skin look younger and healthier (1). 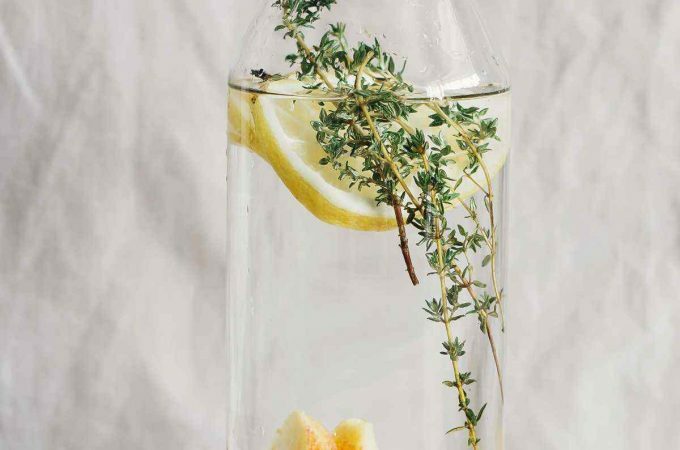 But if you’re like a lot of people, you might not like drinking plain water. 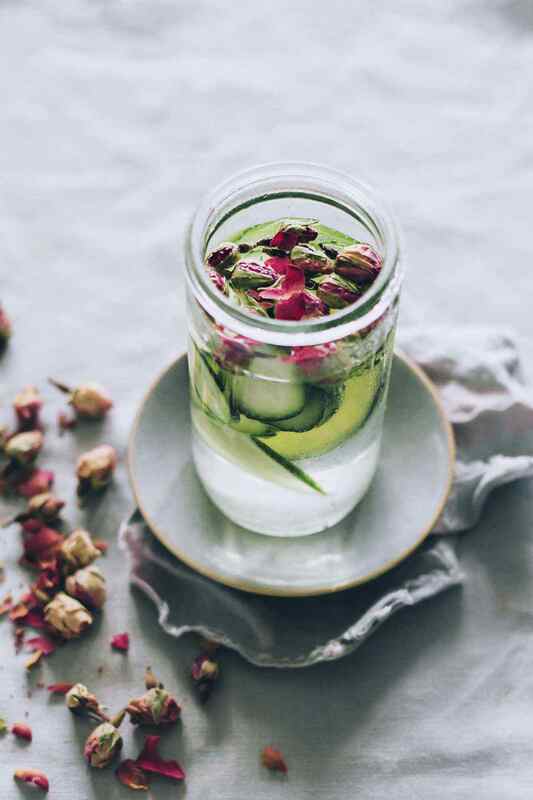 This Rejuvenating Rose Water recipe adds pizazz to your plain water, making it not only more palatable but adding health and beauty benefits.And if it tastes good, chances are you will drink more of it, boosting your water intake. 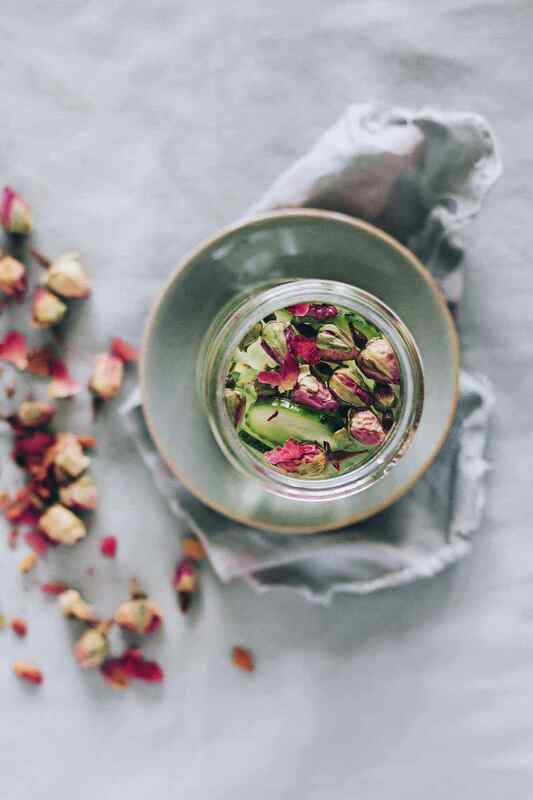 Rose water has been used for thousands of years for a number of ailments and health issues – but especially for the skin. In fact, it was one of Cleopatra’s beauty secrets. 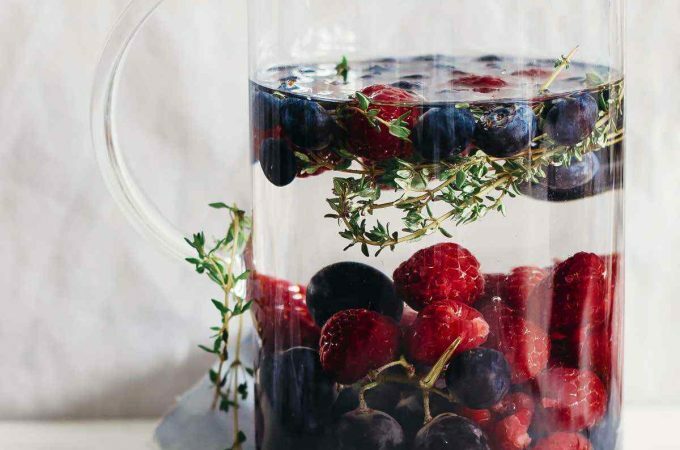 It not only hydrates your skin from the inside out, it also has anti-aging properties (2). 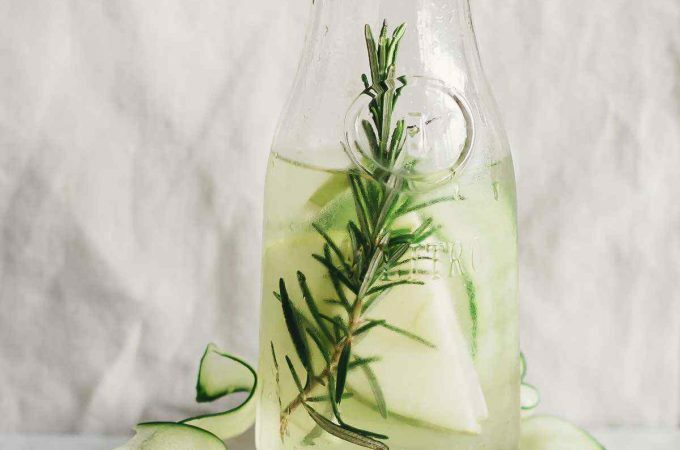 Rose water is also full of vitamin C (as is the lime in this recipe) which not only protects your skin against free radicals, but also fights against colds and flu. If you’ve heard before about using rose water directly on your skin, now you know that it works its magic from the inside as well. 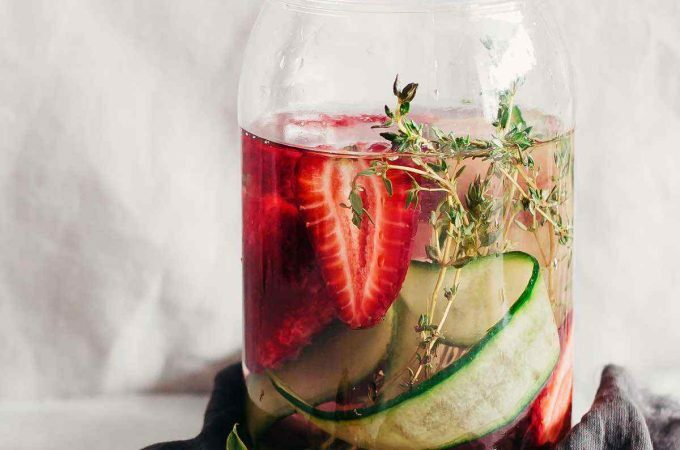 Apart from the benefits to your skin, rose water has calming effects, which makes it a great before-bed drink. 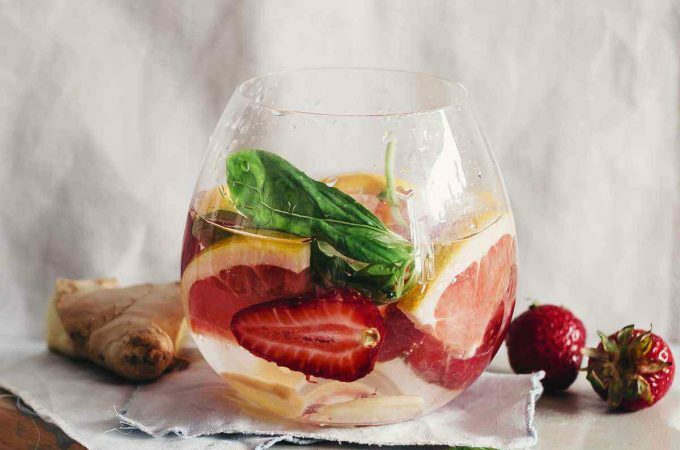 And if you find that you enjoy drinking infused waters like this one, be sure to check out this Grapefruit, Lemon and Sage Infused Water recipe. 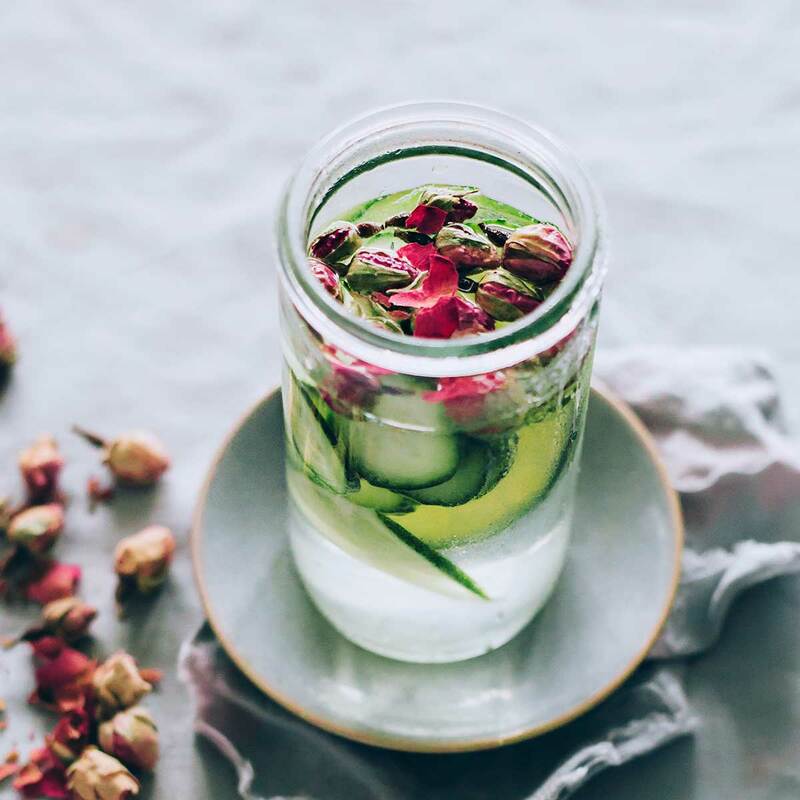 Rejuvenating Rose Water is a great drink for people of all ages to stay healthy and hydrated. 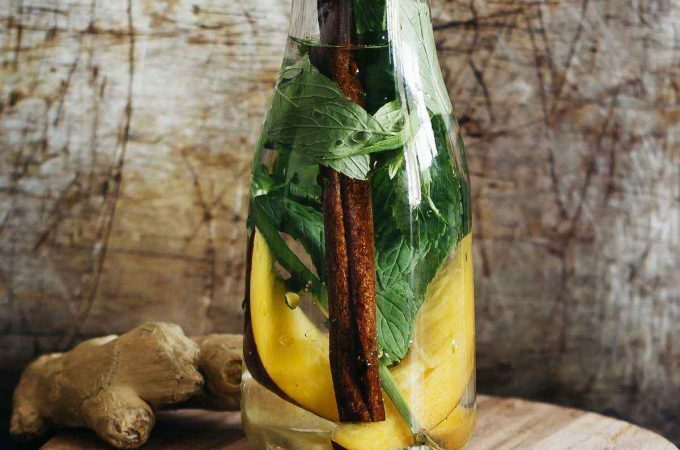 Add all the ingredients into a kettle and let infuse overnight.